We’re happy to announce the winner of last week’s $100 Amazon Gift Card sweepstakes! Candice M is the lucky recipient of the prize. She sent in the cute picture of her friend Theo thanking us. A new sweepstakes this week for a $100 eBay gift card is well underway. Check it out on CouponRoller’s homepage at http://www.couponroller.com and enter to win. Due to popular demand, CouponRoller is introducing an additional way to win amazing prizes. CouponRoller Sweepstakes are daily, weekly and monthly draws for products, gift cards and cash that users enter to win. This makes being part of the CR community even more exciting, and rewarding! CouponRoller has already distributed thousands of gift cards and coupons through the games on our site. With sweepstakes, the prizes just got bigger! The first Sweepstakes draw is on Sunday, February 1st at 12:00PM EST. Up for grabs: a $100 Amazon Gift Card. Users can enter directly from the CouponRoller homepage. Today we have exciting news. 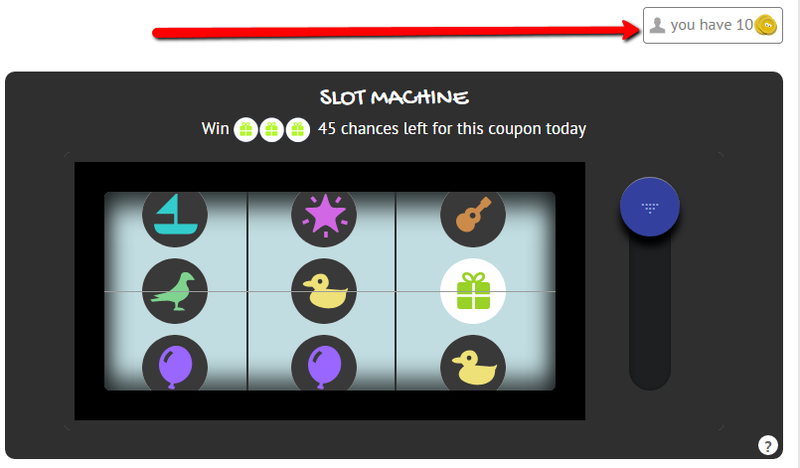 We’ve often heard from our users that playing games on CouponRoller is exciting – and winning is even more exciting. And so, we have now added an additional way to win. We’ve just launched CouponRoller Coins, right when Black Friday is around the corner. As you play games in order to win the specific gift cards and coupons you love, you’ll also win coins. These coins add up, and you can then redeem them for any coupon or gift card of your choice in the CouponRoller Store. The various gift cards have different prices, and you have the freedom to decide how many coins to spend. You can redeem for a small gift card quickly, or save up and get a large one. 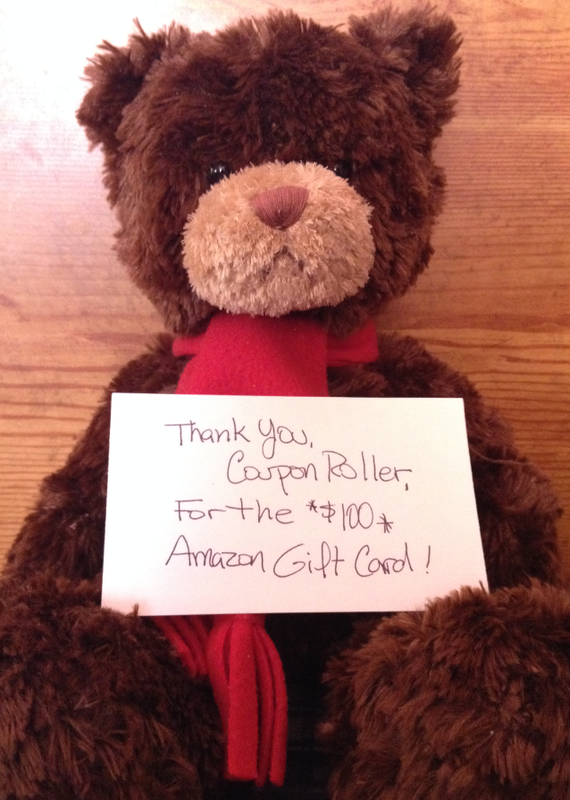 Reach out to us and tell you what you think of this new way to win at CouponRoller! 1. Risk, Uncertainty and Flexibility – In college, you risk starting a degree, a direction, a school and it not working out. You might not end up having the passion you thought you would for that particular discipline. So you might switch it up, change departments or universities entirely. These uncertainties and dilemmas are thought about and discussed among college students quite ubiquitously. A good friend of mine moved from Chemistry to Physics, then to Journalism and finally to English Lit. At a startup, this is called pivoting. And it’s quite common. 2. Networking – Some of my closest friends today are from my college days. At university I met the people who would later become business associates, co-founders and advisers. Similarly, while working hard getting your startup off the ground, you’ll most definitely forge alliances, meet new contacts and speak with more people on a daily basis than you ever imagined. This will grow your network both in breadth and depth. 3. Languages Skills – At college you’ll likely take a language course, or maybe even two. You might pick up some words in other languages when chatting it up with classmates from around the world. Maybe you’ll take part in an international student exchange, do a semester abroad. Heck, you might do what I did and do your whole degree abroad. At a startup, you can find yourself working with international markets. You’ll localize your product and forge global partnerships. And so you might find yourself picking up a new language there as well. Which I love doing. For example, I’m learning Japanese in order to communicate with our Japanese partners and customers. 素晴らしい ! 4. Tests and Exams – Your profs test your knowledge on the subject matter. This is how they challenge you to do your best, and weed out those who don’t. In the startup world, it will be your investors, the board, the press, your competition etc. who test your knowledge, execution and performance, pretty much all of the time. 5. Financial Investment – To go to college you invest your money (AKA tuition). At your startup you (generally) invest your money to get it off the ground while bootstrapped. Even when working from your garage, you’ll spend a couple bucks on freelancers, SAAS products, licenses and so on. 6. Financial Opportunity Cost – While at college you have the opportunity cost of working, albeit generally at a lower-paying job. Most entrepreneurs launch startups after having worked in the hi-tech sector for 5-10 years. And so they have significant opportunity cost to their time when they decide to build their dreams. 7. Learning – In college you learn stuff. At your startup, well, that goes without saying. Shaun Waksman is co-founder and CEO of CouponRoller. *This post is *not* meant to discourage people from going to college. Cyber Monday: This is the #1 day for all of your online shopping. It’s the Monday following Thanksgiving. It’s when people are back from their long weekend, and want to buy the stuff they’ve seen. You can expect big deals for anything you find online. The term was first coined in the year 2005, and online merchants have seen an increase in sales between 15-25% on this day ever since. Small Business Saturday: This is the day for all of your shopping that isn’t at the giants. That is, the mom-and-pop stores, both online and offline. It’s the first Saturday after Thanksgiving, and the smaller shops will be competing for your dollars. End of year: This is when you want to grab yourself a car on clearance. The cars for the upcoming year are already being shipped and sold. The lots want to get rid of the older models, and it’s your chance to save. The same goes for appliances, too. End of summer: Plan to buy most of your summer clothing in August, at the end of the season. This is especially true for your swimsuits, which shouldn’t be a problem to hold on to for next year. July: Furniture sales often happen in July, since August is when the new models enter stores. And finally, when not to buy Jewelry: Anytime there’s a holiday coming up, stay away! You want to buy yourself, or your significant other, jewelry as far away from Valentine’s Day and Christmas as possible, and not get sucked into those so-called sales. Before the advent of the internet, I agree that the art of couponing was of questionable benefit. We all remember that time: Sitting with all of your (snail) junk-mail and a pair of scissors. Literally slicing and dicing little pieces of paper. Sticking these papers on your fridge with a magnet or two. Shoving a couple into your pocket, another couple into your wallet. Using the world-renowned “Entertainment Book” for their coupons. Looking through every page of the newspaper. It was a time-intensive matter! It would take an estimated 20 hours a month to cut, organize, compare, store and use the coupons in question. Not a heck of a lot of fun. Enter the internet. In a moment’s time, you can find coupon codes for practically any online or offline retail you want. Perhaps it’s Free shipping? Perhaps it’s two for one deals. Or 10% off. With a click of a mouse you can get discounts for exactly the products you wanted to buy anyways. There are mailing lists, forums, comparison sites. The opportunities are endless. It’s quick to find, easily accessible and even simpler to build into your weekly routines. Suddenly twenty hours per month has turned into an average of 5 hours per month. And then, enter smart phones and tablets. Now you don’t even need to be at home in front of your computer. Mobile-optimized sites and native apps allow you to easily search, get updated, share, and redeem coupons, vouchers and gift cards. You can prepare your coupons on your train ride to work, or your bus ride out. The effective time you use is essentially zero. Even when you’re in bed or watching TV you can fiddle with your tablet and coupon away. With the average savings from coupons at 5% of a household’s budget, or $50 per week, the time you spend on couponing in this day in age is well worth the effort. Couponing is an important part of keeping a balanced budget. Whether you’re single or supporting a household, coupons and discounts are the norm when it comes to making sure ends meet. But you have to make sure you do it right, and avoid traps. 1) Expiration dates are your enemy: How many times have you found yourself staring at a coupon that is way past its expiration date? It’s even worse when this happens when you’re at the store with the product in hand! Keep track of the coupons you’re thinking of using, and make sure they are organized in a reasonable fashion. This way, you’ll be sure not to forget about the important deals. 2) Don’t buy it just because of the coupon: If you weren’t thinking of buying the product(s) anyway, don’t fork out your hard-earned money just because you found a coupon. The best way to save is to reduce your consumption. 3) Mobile Coupons are the norm: Instead of carrying around wads of paper coupons with you, use one of the many online coupon sources / apps to carry them digitally, on your phone. Less chance you’ll loose the coupons, and it’s much more likely you won’t forget about the ones you really wanted to use. 4) Stock Up When You Can: Found a good discount on toothpaste, with no limit? Stock up! That stuff never goes bad. But only if you know you’re going to use the product. Don’t buy tons of stuff you’re never going to use just because of the deal. 5) Friends help friends save: Your family, neighbors, friends etc. are in this with you. Share the frugal love with each other. Keep each other in the loop when you find an interesting deal. For instance, I like to send a quick text to my buddies when I’m at a store and I see something on special we all use. And they reciprocate.